If you're considering window replacement and want to assess the energy efficiency of new windows before proceeding with the installation, it's best to consider certain aspects and familiarize yourself with the following terms. Window glazing may differ from region to region, depending on the climate. Triple glazed windows are best suited for cold, northern areas while single glazing is the method preferred in the warmer, southern ones. Double pane is ideal for a temperate climate, making it the most common of the three. A standard of window installation today, Low-E is short for low emissivity. It consists of a coating of metallic particles meant to keep a room warm in wintertime and cool during the summer by acting as an insulator. Since it also reflects ultraviolet light, room furnishings do not fade nearly as fast. Rebates have become common practice for companies to lessen the impact of window replacement costs and thus encourage clients to take advantage of energy-efficient options. 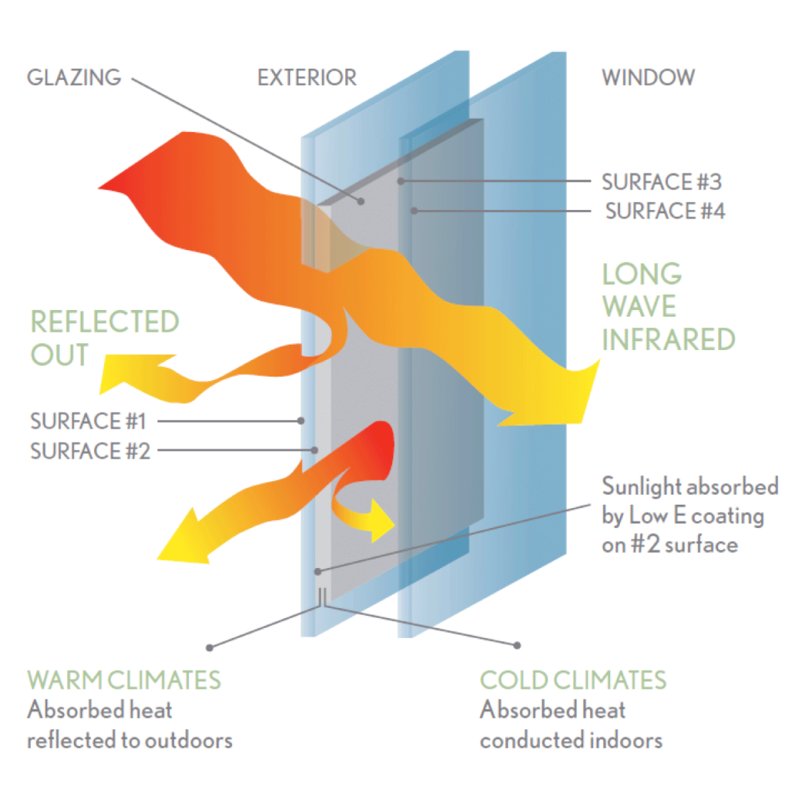 The U-factor measures a window's heat loss rate. If it's low, the window is better able to resist heat flow and has better insulation properties. Triple-pane windows have the lowest values, down to 0.15. The U-factor is used to measure the entire window assembly. Single and double hung windows let more air through compared to hinged types. Consult with our team of experts to find out which values suit your installation purpose best!